Another nomination! Best Supporting Actress at the Asia Web Awards! 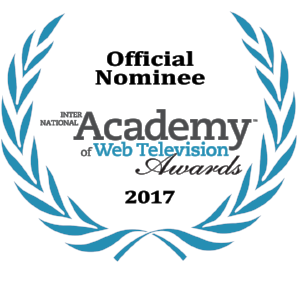 I am nominated for Best Actress in a Drama Series at the International Academy of Web Television Awards happening in LA October 4th. These are like the EMMYs of web television. So honored and excited and grateful for Here We Wait. We also picked up Best Ensemble, Best Actor, another Best Actress, and Best Music. Thrilled to announce that, following a very successful festival run, HARLEMITES is officially launched! I am in BRIAN MICKLER as Stephanie the skeptical nurse interviewing with Dr. Mickler. A delusional man endeavors to heal his sick mother but first must cope with his own illness. Winner ~ American Diversity Award @ Official Latino Film Festival. Thank you EMFF for my acting AND writing/producing nominations for my comedic short: Waking Up. Minnesota Webfest gives two nominations to Here We Wait. Waking Up (Actor / Producer / Writer) is accepted into the Endless Mountain Film Festival. I won "Best Actress in a Feature" at this fest last year. Hope I can get back for this. Here We Wait accepted into the inaugural Minnesota WebFest! Here We Wait is going to Spain!! We've been accepted into the Bilbao Seriesland WebFest! We WON! We WON! Here We Wait took home Best Sci-Fi / Fantsy Series at Austin WebFest! We were also nominated for Best Drama Series, Best Writing (ME!!) and Best Overall Series. 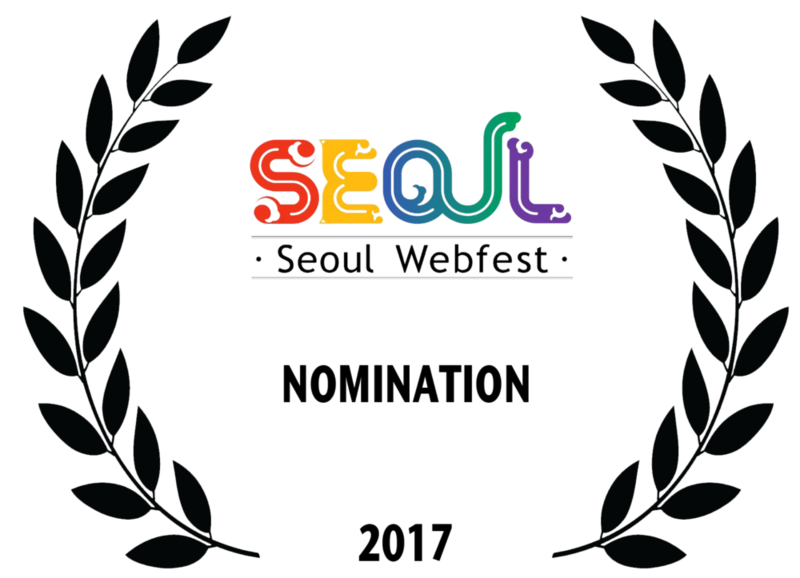 Here We Wait got THREE nominations for the Seoul Webfest ~ Best Sci-Fi Series, Best Director, and Best Ensemble!! Click HERE for full listings. A reviewer at this year's Die Seriale rated Here We Wait as one of the best series of the festival! Click HERE or below to read her full review of the festival! Hey Here We Wait - how about a trip to Korea for the Seoul Web Fest! What a BLAST T.O. Webfest was! AND I might have some distribution news for Here We Wait coming at ya very soon. Here We Wait is going to Miami! 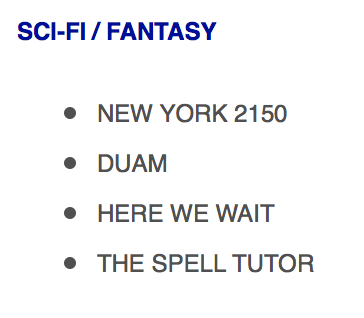 Here We Wait is nominated for Best Sound Design and Best Sci-Fi/Fantasy Series at the T.O. WebFest! Here We Wait goes to Italy! As an official selection at the Sicily WebFest! Happening July 22-24! Can you believe it!? Here We Wait is an official selection at the Austin WebFest! June 29-July 2. Austin, Texas. See you there. Here We Wait was chosen as a part of the New Media Film Festival! We screen in June in LA. Come see it. Or else. That one time Stareable interviews teen web series fans and Here We Wait gets a shout out! Click the image below to be taken to full interview. 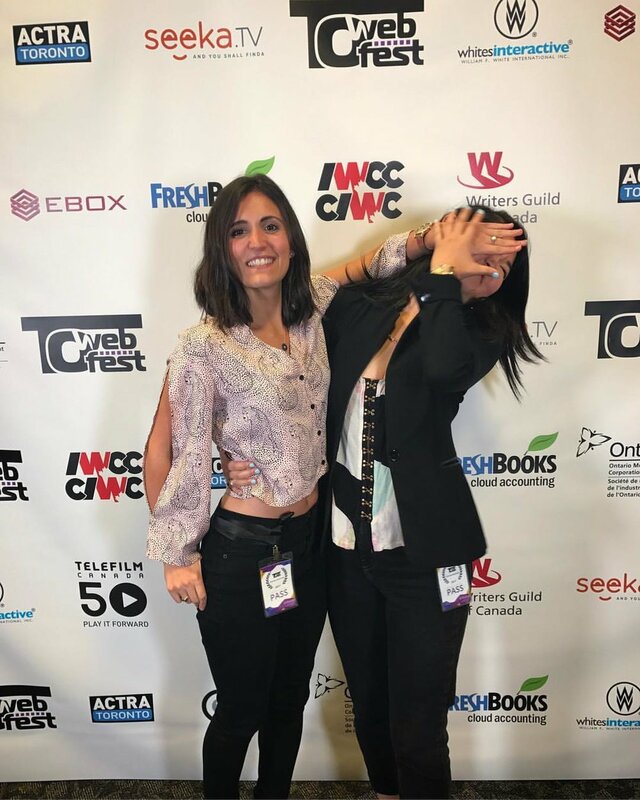 Toronto WebFest accepts Here We Wait! Nominations to come. Here We Wait has been accepted into the Asia Web Awards! South Korea, here I come! Some of the beautiful Here We Wait team gathered for the 8th Annual Indie Series Awards. Our baby was up against some amazing series, some with serious distributors (and even Daytime Emmy's), but we were lucky enough to take home an award! Check us out pre and post ISA's. Hollyweb Festival came to a close last night. It was an honor to represent Here We Wait. had a great screening, Q&A, and my script was featured on a screenwriter's industry panel. Here We Wait has been nominated for THREE awards at the Die Seriale Festival. Including BEST SERIES!!! Here We Wait is an Official Selection for die Seriale! BRIAN MICKLER is in the Queens World Film Festival! 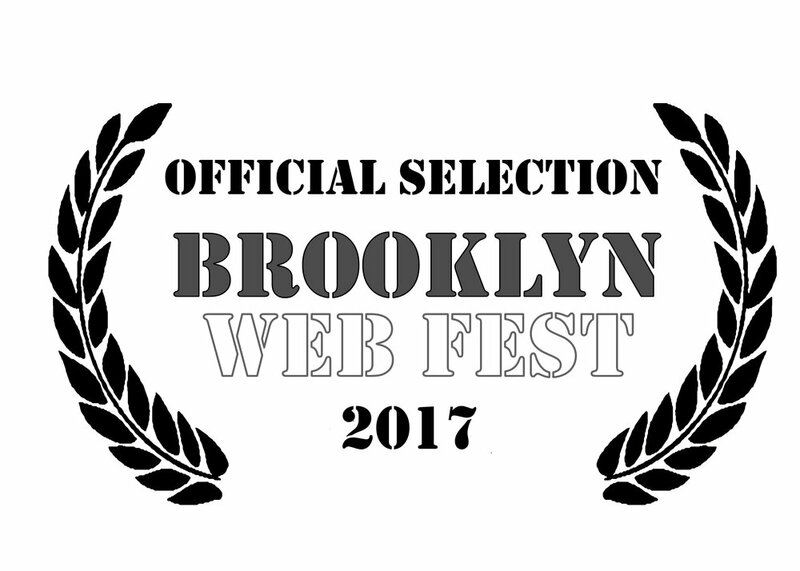 Here We Wait has been accepted into the Hollyweb Festival! Here We Wait has been nominated for 5 Indie Series Awards! Ceremony is April 5th in North Hollywood. See you there? Brian Mickler - a short film I have a supporting role in - was accepted to the Academy Award qualifying CINEQUEST 2017! WAKING UP - a comedy short I wrote / produced / co-star in - is at the Garden State Film FestivAL. Brian Mickler was accepted into the Carmel International Film Festival! I played the cautious, but driven, Nurse Stephanie. I won BEST ACTRESS IN A FEATURE FILM! for SYCAMORE at the Endless Mountain Film Festival. We also won Best Director. We were nominated for Best Picture (I produced). Got to act for Jason Reitman. Eye opening. Working to get so much better thanks to one of the best. One of my proudest moments as an artist is to have been a guest on The Other 50%. This podcast interview POWERHOUSE women in film (and tech) and to have been included is humbling, eye opening, inspiring, and a bit daunting. Click below to be linked to the full hour podcast. I had a blast on Kevin Sampson's Picture Lock Show. Click HERE or the image below to be taken to my episode. And subscribe to his podcast on iTunes! Another great podcast with the hilarious Michele The Trainer. Check out the show notes HERE. Listen on iTunes, Podbean and Stitcher. When I do Tea Time in Hollywood, it's only with some of the most influential ladies in the business. Thank you to The Other 50% for an inspiring afternoon full of ladies who kickass and bust ceilings. Another great review! from The 7th Matrix for Here We Wait HERE. International interview debut on RTP HERE. Dartmouth Alumni Magazine Interview HERE. Geek.com reviews Here We Wait HERE. Filming THE HOLE - short film - directed by Chris Tardio. An interview featuring my work in Here We Wait was released. Check it out HERE. THIS JUST IN! A short film I'm in - SPLOTCH - has been chosen for the CILECT Film Festival in Bulgaria!